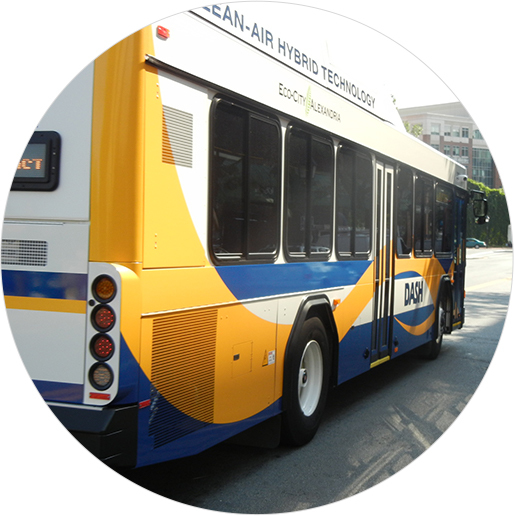 The Alexandria Transit Company's DASH bus system provides safe, reliable, and courteous bus service within the City of Alexandria! 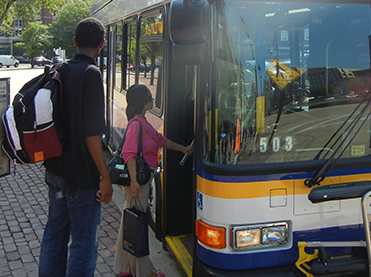 DASH connects with Metrobus, Metrorail, Virginia Railway Express, and all local bus systems. DASH offers affordable fares, a unique transfer system, and a money-saving monthly electronic (or paper) DASH Pass. Please have the exact fare ready when you board. Drivers carry no change. Discover a free, convenient, environmentally friendly and fun way to travel around Old Town Alexandria! 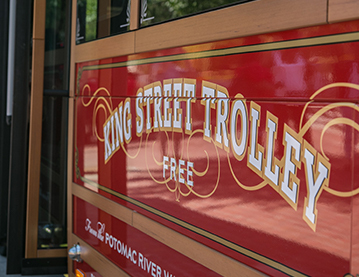 The King Street Trolley operates between the King Street-Old Town Metrorail Station and the Potomac River waterfront. 11:00 A.M. - 10:30 P.M.
Don’t wait until the holidays to plan your travel! Check the DASH holiday schedule any time of the year! Drivers may refuse service to anyone who does not observe rules or whose behavior is disruptive or hazardous to vehicle or passenger safety. Searching for a better way to get large parties from here to there? 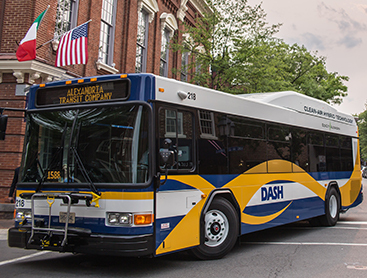 Chartering a DASH bus is the perfect way to take any size group around the metro area!